Want a Happier Workplace? 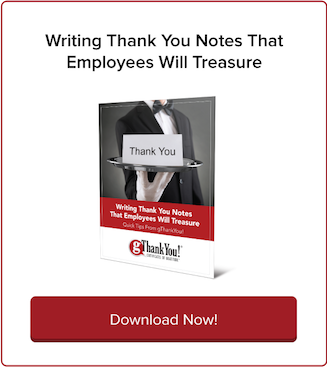 Practice Employee Gratitude | gThankYou! Recall all the times you’ve thought to yourself, We’ll be happy as soon as we get through this project, or My team needs get better at A, B and C — then we’ll be happy! Those parameters for happiness keep shifting away, just beyond reach. It’s a trap. Break the cycle! Practicing gratitude is a shortcut to happiness, and it’s a practice you can start today with employees. The secret to a happier workplace really is gratitude. Are your employees hearing frequent appreciation? Are they empowered to share their own gratitude? Is gratitude part of the company mission as well as daily life? Read on for a primer on employee gratitude essentials. Later this week, look for a followup blog post here on the latest thinking and trends in workplace gratitude. Several years ago, Gallup conducted a survey of employee engagement in 142 counties. Engagement, in turns out, is the exception and not the rule. Worldwide, 13 percent of workers reported being engaged at work. The vast majority were not engaged or “activity disengaged.” Actively disengaged employees are not only disengaged but miserable about it. They’re likely to infect coworkers with their unhappiness. Engagement is higher in the U.S. and Canada but not significantly so. Only a third of American workers are engaged, according to Gallup. In the workplace, it’s up to leaders to communicate how the work is meaningful. Gratitude is essential to communicating meaning. Increased productivity — appreciated employees work harder. Better physical health, including lower blood pressure, improved immunity and healthier hearts. Don’t confuse value and meaning. That, Morin writes, is where your genuine gratitude comes in. 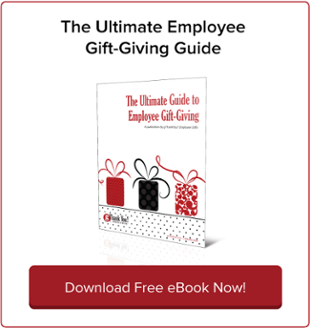 Your employee gratitude needs to be about more than numbers. Definitely mention the positive effect the employee’s work has had on the bottom line, but to really make an impression, focus on what it means to you, to the team and to customers. “Thanking people simply because a project is complete or because you feel put on the spot won’t do anyone any good. Gratitude needs to be authentic,” according to Morin. Heartfelt gratitude — i.e., “from the heart” — focuses on people, not spreadsheets. By seeking out this gratitude every day, happiness will naturally follow. We all need inspiration to spread workplace gratitude daily. Here at gThankYou we love helping companies connect, engage with and celebrate employees. Here are two free eBooks that will inspire and provide actionable tools to help you build a culture of gratitude. Download them and start making a difference today! 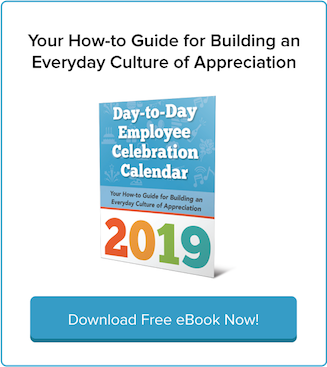 1: “2017 Day-to-Day Employee Celebration Calendar“ provides the tools and inspiration to build a culture of appreciation every day of the year. Be inspired; download yours today, absolutely free. 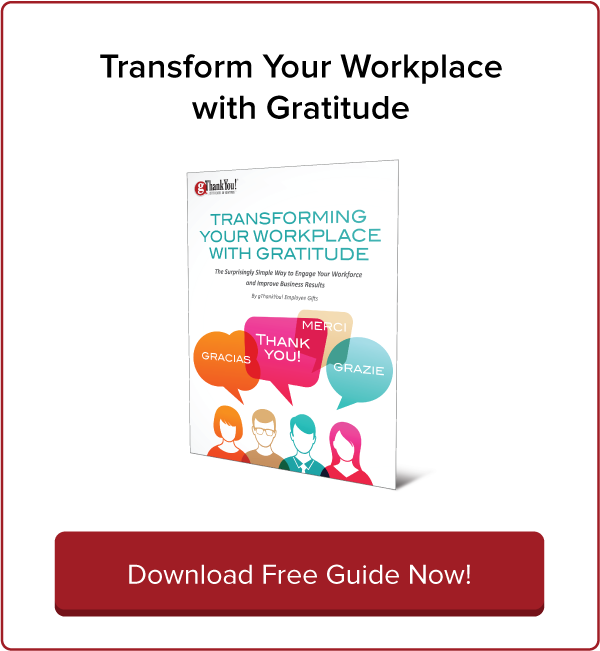 2: “Transform Your Workplace with Gratitude” unlocks the secrets to recruiting and retaining a superior workforce, increasing profits and having more fun at work. Learn more about the science of workplace gratitude, why gratitude is so powerful in the workplace and simple techniques to improve any organization – starting now! Here’s to a happier workplace!